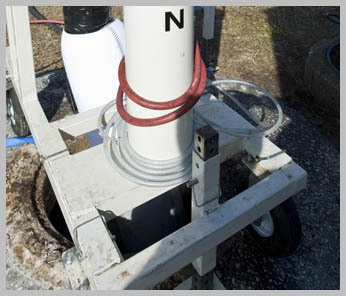 When main lines leak or corrode, they can damage above ground surfaces, cause pollution, and start severe flooding in treatment facilities. 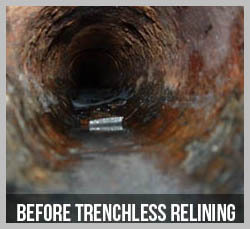 With The Trenchless Pipe Solutions Main Lining System, we use the most technologically advanced cured-in-place pipe (CIPP) lining to rehabilitate city pipes. Digging causes environmental damage, longer-term traffic disruptions, and is very expensive, but with Trenchless Pipe Solution Main Lining, there is less disruption, less cleanup, and less cost. 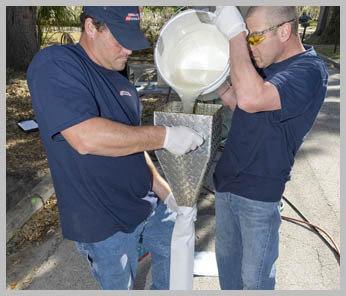 Created for municipal main line sanitary sewers, our certified, third-party tested equipment and materials are engineered and manufactured to meet project specifications on an individual basis. Our high performance products are consistent in producing results that work, and are very user friendly. 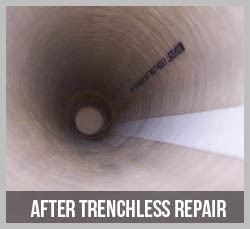 Trenchless Pipe Solutions cured-in-place felt liners are produced with different thicknesses to meet the varying pipe diameters and individual sizes of municipal lines. We completely take care of the felt manufacturing process, so the material is ready-for-use as soon as the custom liner is needed on site. We work closely with our customers to make sure all specific job requirements are met, and customize our product for superior quality control. When we insert our resin impregnated felt liners into the existing host pipe, the resin hardens and creates a structurally lasting pipe within a pipe. Our robotic camera then goes in to inspect the work, ensuring the process was successful.